We spent the entire month of June at the Elkhart County Fairgrounds in Goshen, Indiana. We participated in two RV Rallies while we were there: the Heartland Owners Rally and RV Fest. 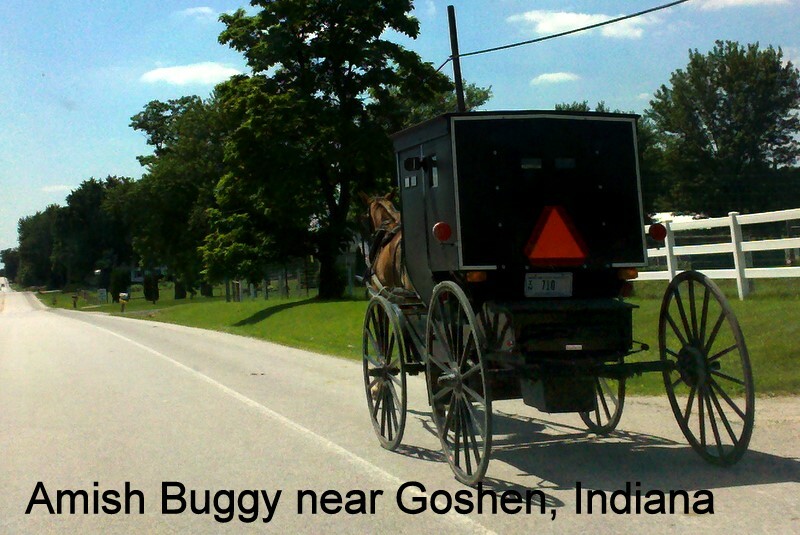 Goshen is in the middle of Amish Country. We took advantage of the good food, gaining a couple of pounds! We also took advantage of the fine woodworking crafts and had some custom RV Furniture made by FocalWood Products. We thought our new RV was a palace before! Now it’s a palace with furniture fit for royalty! Thank you Gypsy Journal for recommending FocalWood. See June’s Blog posts for more on Jim and Chris’ adventures. In last month’s newsletter, we asked for suggestions to name our new motorhome. Thank you to all who responded! Suggestions that we especially liked included: Big Boy (since our first RV was Oh Boy), suggested both by Nick Russell and Al Wilson, GOT To Go (GOT=Geeks on Tour) suggested by Judy Gales, and Geek Mobile suggested by Pat Barrow and Barry Keen. I’m afraid it still remains un-christened however, we just can’t make up our minds! Here is a link to view all of the suggestions. We’ll soon be on our way to Vermont to present seminars at the FMCA NE Area Rally. In addition to our standard Blogger, Picasa, Facebook, Streets and Trips, and Google Earth seminars, we’ll also be doing a new 2 hour hands-on ‘Editing Digital Photos with Picasa’ class. The hands-on class is limited to 20 participants and you must register ahead of time at the rally. The $40 fee includes a USB ‘thumb’ drive with sample photos, tutorial videos and a workbook. Here’s our schedule for the rest of the summer. Did you know ?? … We have a separate website *just* for our Picasa tips. It’s called Picasa Tutorials, and it contains the full text of every tip that has been sent out via our weekly email Picasa Tip. Check out the Table of Contents – it’s arranged by topic and includes the full title of each tip. It’s really pretty impressive! A tip has been published nearly every week since January of 2006. And, make sure to sign up for the Tip of the Week to be notified each time a new tip is published. Blogger has gone thru many changes in the last year, so we updated several of our Blogger videos accordingly. Most of the videos in our Blogger Starter Lessons are new. One of the tutorial videos is on our ‘Featured’ list this month: Blogger Pages for Websites. “Featured” means that it is temporarily available for viewing by non-members as well as members and it is listed in the right sidebar at www.GeeksOnTour.com. Most computers do not have GPS built in, so, although they physically travel with us, their clock is still set to the previous time zone. It’s very easy to change! Published by MrsGeek, in Newsletter. 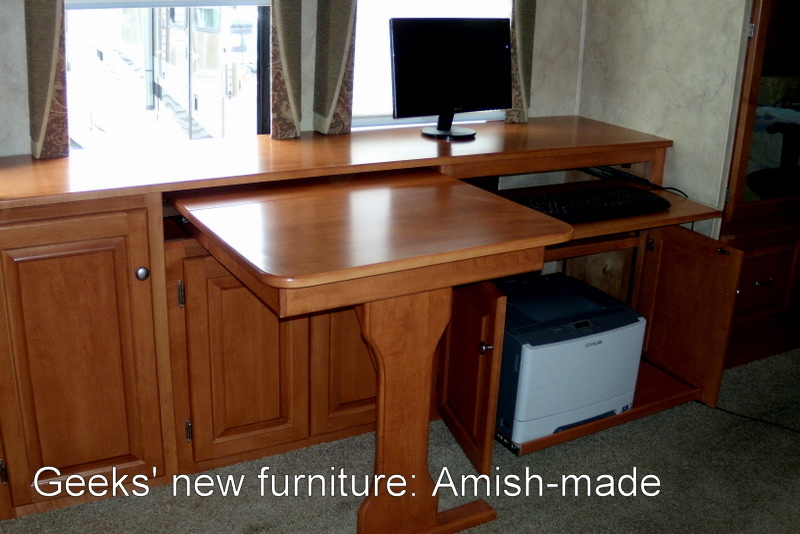 Tagged with Amish Furniture, Blogger Tutorial Videos, Picasa Tutorials, USB Car Chargers, Windows Change Time Zone.